Seamless and accurate passing of information from the sender to the receiver/s ensures that the correct message is passed on, and the right decisions and actions can be made. In this sense, it is important to find an effective of sharing information so that goals and objectives that have been set can be achieved. 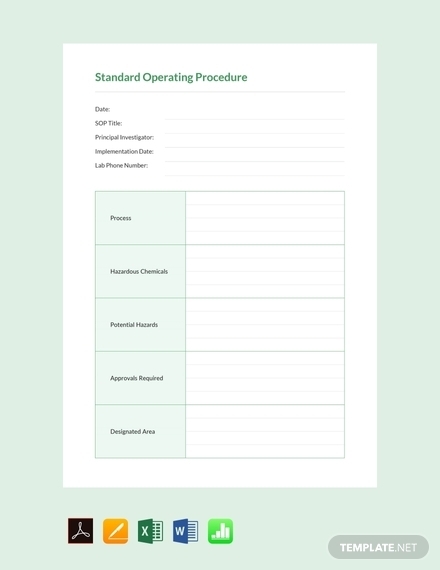 More than sharing information, it is also important to have a uniformed method to use when certain information should be emphasized and prioritized. This is where notes come in handy; a note is basically a document that allows you to succinctly share as well as emphasize certain information. Although it is brief, it still conveys that complete message to the reader/s. 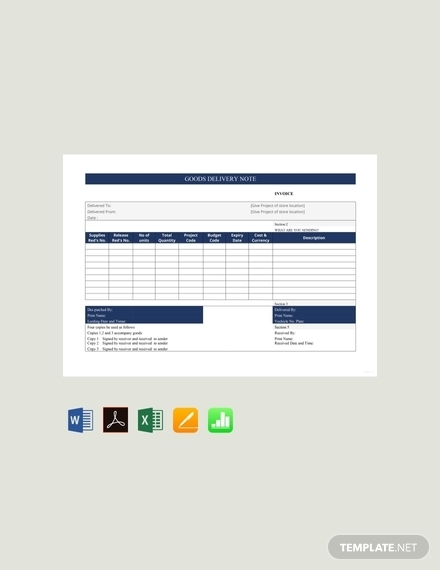 It is a useful and effective document to use when there is a need to pass important information quickly so that decisions and actions can also be efficiently done. 1. Sender and Recipient Information: It is important to accurately indicate the recipient of the note so that it can be delivered to the right person or office. 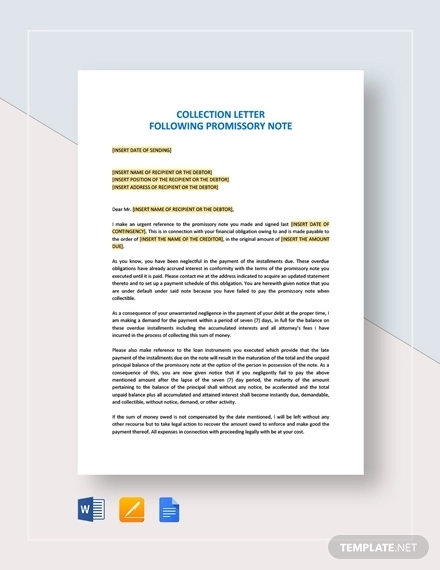 In the same sense, information about the sender should also be indicated to ensure there is accountability with the message shared on the note. Provide the name, position or designation, office, contact information, etc. for both the sender and recipient. You can utilize letterhead templates for the sender information, but still list down information about the recipient. 2. Date: Since it is only proper to send in a document after it is done and the signer has already affixed his or her signature, the date on the note should indicate when it was written. It is important to indicate the correct date on the note so that the recipient can read and see when the message was conveyed in order to immediately act on it. 3. Subject: The subject of the note should immediately express the gist of the entire document. Just like how it is written in any email correspondence, the subject should only consist of a few words describing or explaining the main topic discussed on the note. 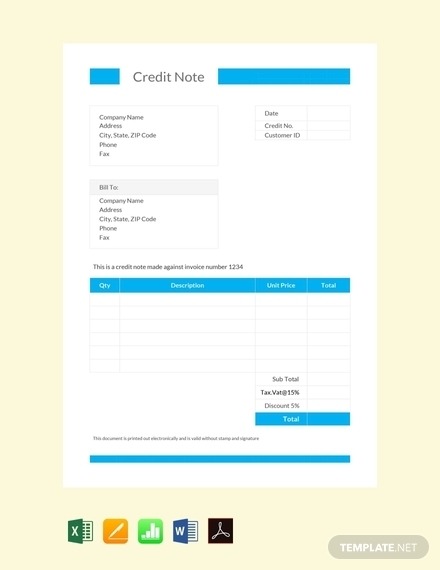 It allows the recipient to understand what the note is all about before even reading through all its contents, basically an overview or summary of the contents. 4. Body of the Note or Message: After writing and indicating the subject of the note, it is important to immediately discuss the message on the note. Write all the details and necessary information about the topic briefly and directly. Although you can still follow the three-paragraph format, it is best to to write each paragraph as briefly as possible. This means that there is no room to discuss other matters not related to the main topic; you must remain a straightforward approach in writing the body or message of the note. You may also see meeting note examples. 5. Signature Line: Since the information shared in the note is official and most of the times urgent, it is important that a higher ranking official vouches for what is discussed in the note. A signature line should be provided below the body of the note. It should indicate the name of the signer along with his or her position or designation below his/her name. A line should also be included to indicate where his or her signature should be affixed. 1. 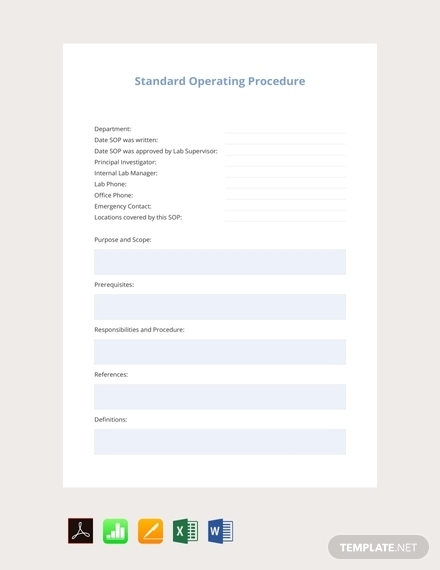 Provide sender and recipient information: As mentioned, you can use a formal letterhead template to efficiently provide for the sender information. However, you will still need to provide for the information of the recipient. It is always best to spell out the correct name, position or designation, company or office, and so on for both the sender and recipient. There is no standard format to follow on how you should write these information; however, you should always choose what is easily readable and understandable to your audience. 2. Write the date: After providing information for the sender and recipient, immediately write or indicate the date when the note is written. You can either write it in an American English style following a month-date-year format (May 4, 2019) or in British English style following a day-month-year format (04 May 2019) depending on the preference or custom where you are from. 3. Indicate the subject of the note: It is necessary that you provide an overview of what is being discussed in the note to your recipient. Since most people are actually in a tight schedule, providing a subject line will ensure that they understand the gist of the note before they even read its entirety. Writing the subject basically has the same principles in topic outline writing where you only write the keywords that describe or relate to the main topic discussed in the body. 4. Briefly but clearly write the body or the message: Immediately dive into discussing the subject in the body of the note. Although you can still include an introductory paragraph, the supporting details, and a conclusion, each paragraph should be brief and direct. You should use short sentences that straightforwardly convey the message to your recipient. However, although it is succinct, you should still aim to provide complete and accurate details; always maintain coherency. 5. 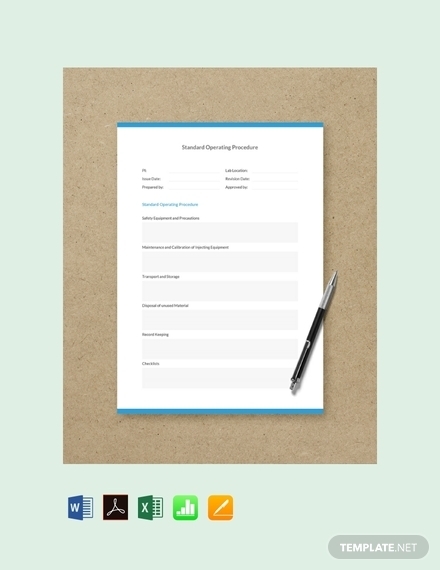 Provide signature line: As mentioned, it is important that you provide a signature line so that a high-ranking official such as your team leader, manager, supervisor, etc. can certify for the accuracy and correctness of the information shared within the note. In a medical note a registered medical practitioner must affix his or her signature to vouch for the contents of the note. The signature line should be placed on the bottom of the page, below the body. It should indicate the name, position or designation, and office of the signer along with a line above the name. 6. Proofread and edit: Since you are tasked to make the note, you need to make sure that there are no errors and any mistakes. Look for any errors such as misspellings, grammatical mistakes, inaccuracies, and so on. Edit the note accordingly. Before you hand the note to a higher-up, it must be proofread, edited, and flawless. 7. Affix authorized signature: After proofreading and editing the note, make sure to have a higher-up attach his or her signature. It is important to have him or her sign the note first before it is distributed to the public or sent to the sole recipient. You may also read consignment notes. Be direct and brief: Immediately discuss what is needed to be discussed; there is no need for filler sentences when writing a note. You have to be straightforward and aim to explain the topic with just a few sentences. Remember that a note is meant to be brief; therefore, only write and discuss what is needed and relevant. Read about concept notes. Use short sentences: In order to achieve brevity you need to write with shorter sentences. Although they are shorter, they should still be complete in thought so that misunderstandings can be avoided. This just means that you need to avoid unnecessary adjectives and/or adverbs. Highlight for emphasis: Since a note is also used to give emphasis to certain information that needs urgent decisions and actions, you can highlight important information. That way the reader/s can immediately see it and understand that it is urgent and important. Check out briefing notes. Use bullet points or lists, if necessary: If there is a need to discuss more than one topic in a single note or there is a need for you to provide more than one supporting detail, you can use bullet points or lists, if necessary. This way you can organize the information better and can make the note more comprehensible to the reader/s. Maintain coherence: Notes, although succinct, should always remain coherent. Stay on the topic being discussed all through the note, avoid straying away and discussing irrelevant topics. You can only add other matters if they are relevant to the topic. You may also see SOAP notes. Formal Notes: As the name implies, this type of note is used in a formal or professional setting. 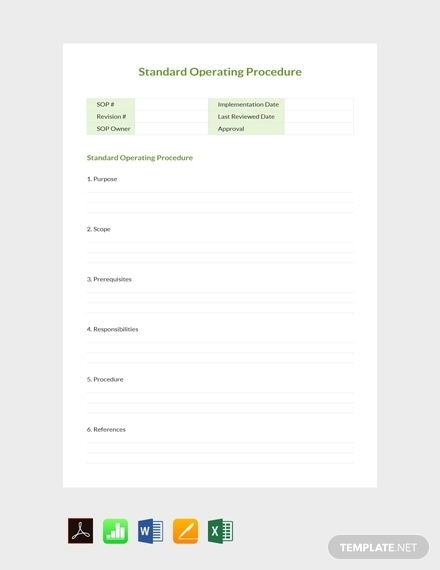 For example, a dental note is used only by a certified dentist and other dental professionals. It used to convey important information that needs urgent attention and information that only professionals or experts can only provide. Other examples of a formal note are as follows: business notes, delivery notes, promissory notes, medical notes, doctor notes, and so on. Informal Notes: On the other hand, an informal note is commonly used for day-to-day or ordinary correspondence. It can also be used as a way of recording information as in a class note. 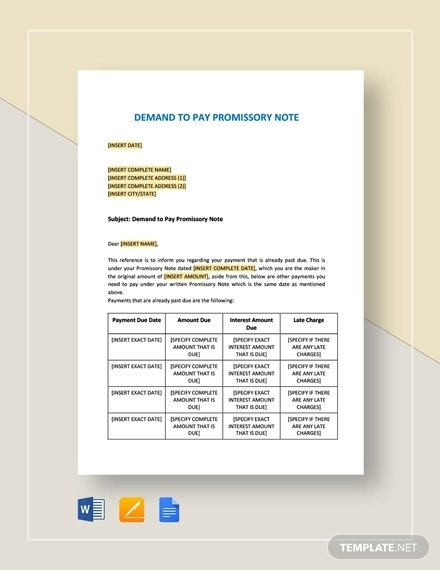 Since formal notes need to adhere to internal rules and standards set by various companies, agencies, organizations, etc., an informal note has the freedom to be written based solely on the writer’s preference. A personal thank-you note is a common example for this type. A note has been defined as a brief record of facts, topics, or thoughts, written down as an aid to memory and/or a short informal letter or written message. 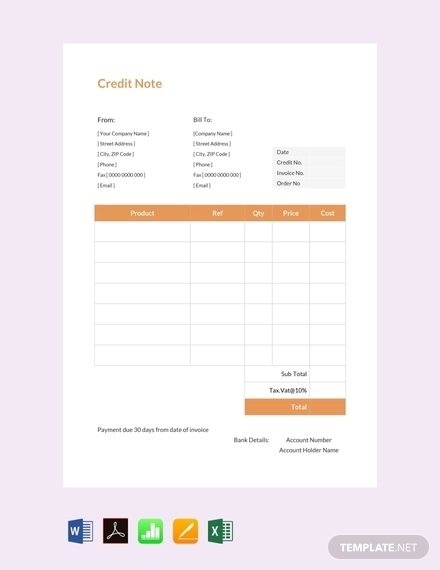 In this sense, a note is a document that helps you remember important things as in a class note for things you need to study, an informal to-do note that lists down what you need to do, and so on. However, it’s also used to convey important and urgent information that needs to be emphasized in a professional setting. You may also see release note examples. What are the advantages of using a note? Is a note an effective method of communication? Any document can be an effective method of communication so long as it’s written and structured properly and clearly. This means that even a short note can convey urgent and important information if sentences are structured properly, thoughts are coherently organized, and so on.